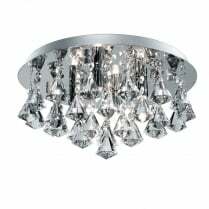 The Bubbles range of bathroom lighting from Searchlight is a sleek and quirky collection of fittings which are rated IP44 for use in zone 2 of a bathroom, the range is finished in polished chrome with bubbled acrylic shades. 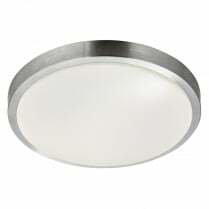 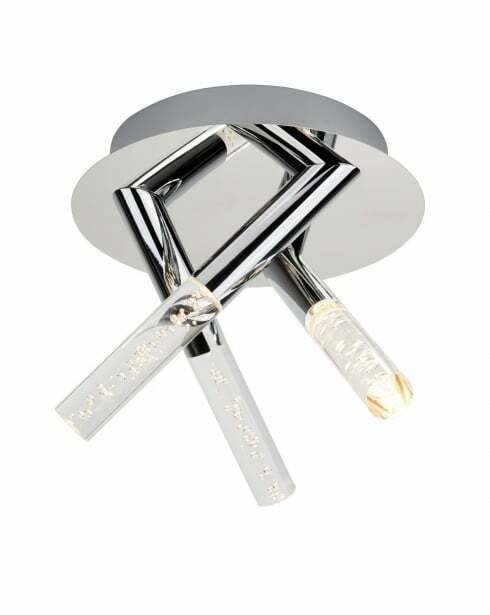 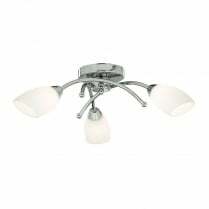 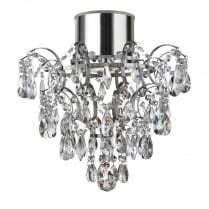 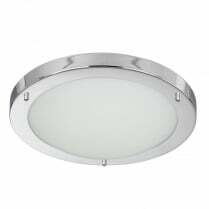 The 2373-3CC is a three light flush ceiling fitting with a height of 18cm and a diameter of 20cm. 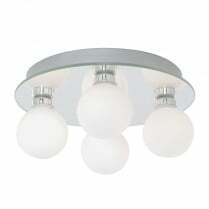 The Bubbles ceiling light features integrated LED bulbs which provide 900 lumens of warm white (4000K) light, these LEDs cannot be replaced and the fitting is not compatible with a dimmer switch.